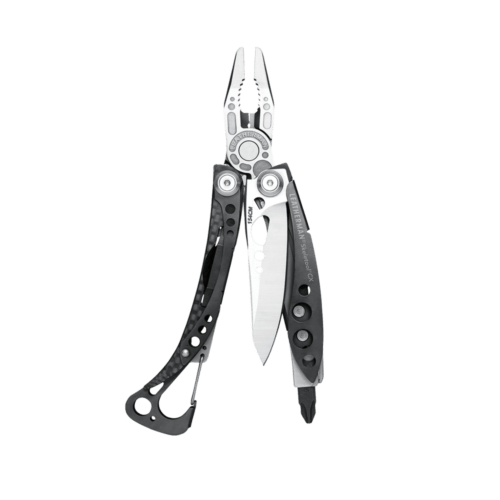 Skeletool CX®The Leatherman Skeletool is an ultra-light pocket-survival-tool that includes just the essentials — a super sharp knife, full-size pliers with wire cutters, an interchangeable screwdriver, and a carabiner clip/bottle opener. 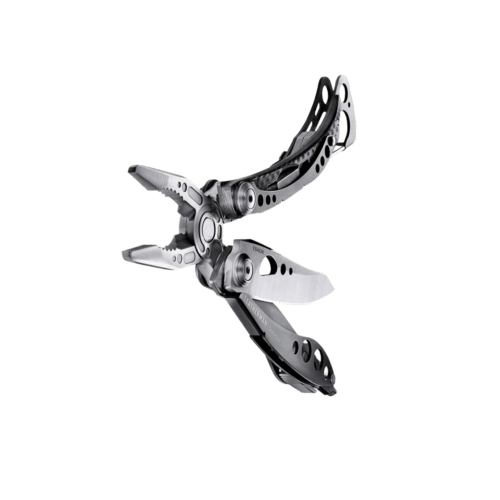 The Skeletool keeps weight and volume to a minimum without sacrificing quality or functionality. The bare, stripped-down aluminum frame is gleaming and cruel, and when you show it off to friends, you won’t say, “Hey, look at my Leatherman.” You’ll invoke the title of Skeletool, because you’d be a fool not to. The stainless steel blade and bottle opener are accessible when the tool is closed. 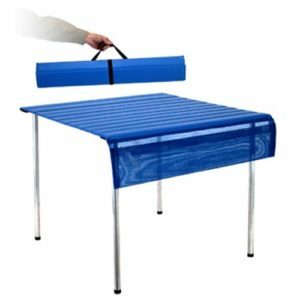 We can’t stress enough how handy that is. And we’re not talking about the easy-access knife, which is now standard on many multi-tools. It’s the bottle opener that you need to get to, repeatedly, and in various states of mind. 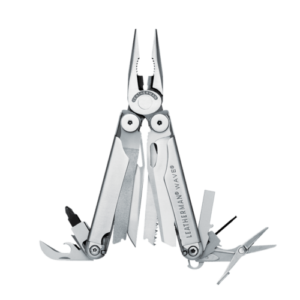 When it comes to multi-tool design, Leatherman simply gets it. 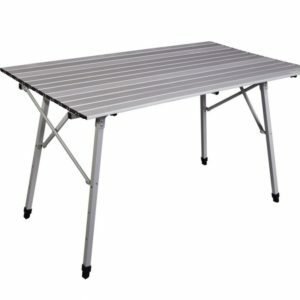 Distinguished Quality, Unique Features, Superior Value…Plus it Works!!! What Else does it have??? 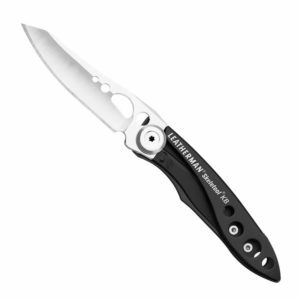 The sleek new Leatherman Skeletool CX gets you back to basics… very cool basics. 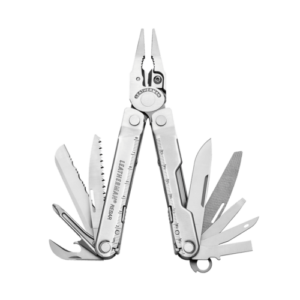 The Skeletool CX has only the most necessary of multi-tool features, because sometimes that’s all you need. With a 154CM stainless steel blade, pliers, bit driver, pocket clip and carabiner/bottle opener, you’re set. 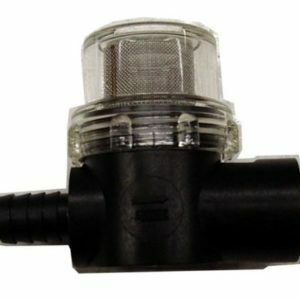 Lightweight, low volume, perfect size. 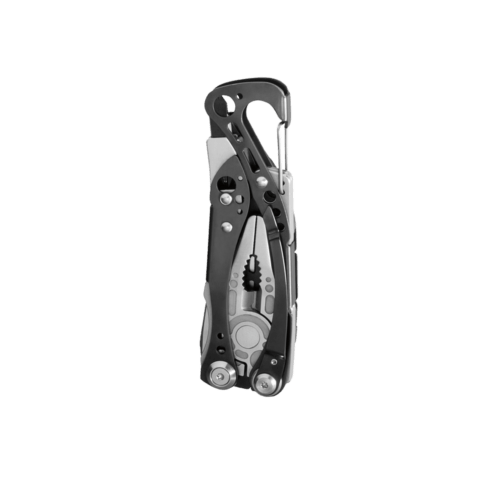 The Skeletool CX: who says more is better? 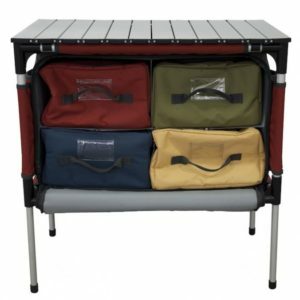 Go minimalist with your multi-tool! 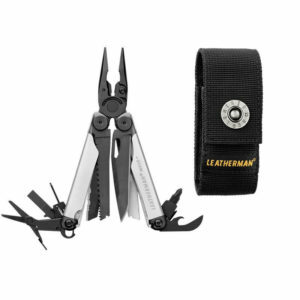 This new Leatherman combines high performance, light weight and futuristic, rugged good looks.